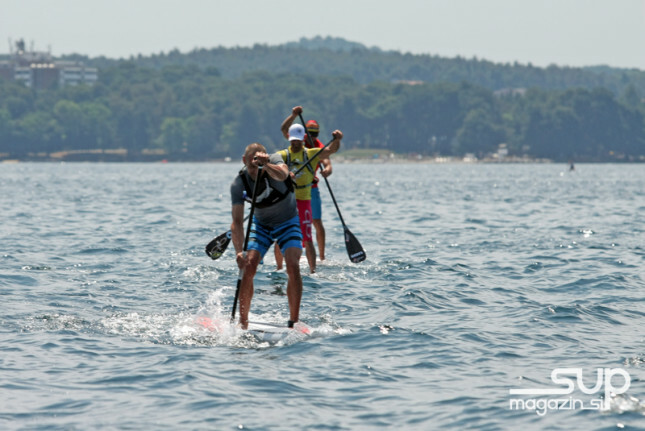 Lina Augaitis and Branislav Sramek won yesterday’s SUPer Surfers Challenge in the beautiful town of Poreč, Croatia. Lina took the win ahead of rising star Manca Notar to continue her Euro Tour winning streak. The SIC team rider was unstoppable at last week’s big Lost Mills race in Germany as she continues to assert herself as one of the fastest flat water paddlers in the world. On the men’s side Branis, who looks and sounds like he belongs in a Game of Thrones episode, took the win ahead of two very classy Europeans: The new star from Italy, Davide Codotto and Peter Bartl from Austria. We’ll have full results shortly but in the meantime here’s the podium. 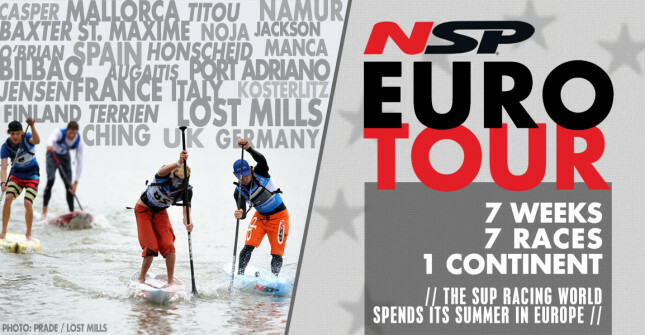 You can also check out a full recap thanks to the Slovenian SUP Magazin (or for the 99.9% of you that don’t speak fluent Slovenian: here’s the Google English translation).